In the new ads Doutzen Kroes the Dutch model embodies the Piaget woman, who enjoys the “Sunny Side of Life” freely. Mert Alaş and Marcus Piggott, in fashion photography widely known as Mert and Marcus, shot the campaign. The duo took inspiration from icons such as Helmut Newton and Guy Bourdin, acclaimed for their strong and decadent visuality. “Mert & Marcus’s bold approach to their art mirrors Piaget’s own free spirit and desire to always surpass itself with daring creativity,” explains Chabi Nouri, Piaget CEO. “Their complete mastery of light enables them to articulate the Sunny Side of Life, and convey the experience of living by this philosophy with intense emotion and colour. The new Possession watch line stands in the focus of the campaign. 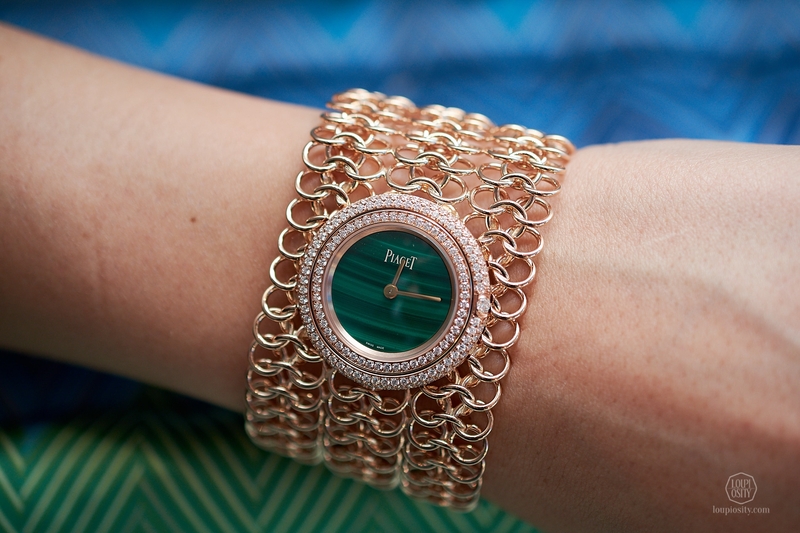 Last spring Piaget presented the latest jewellery models of this collection. 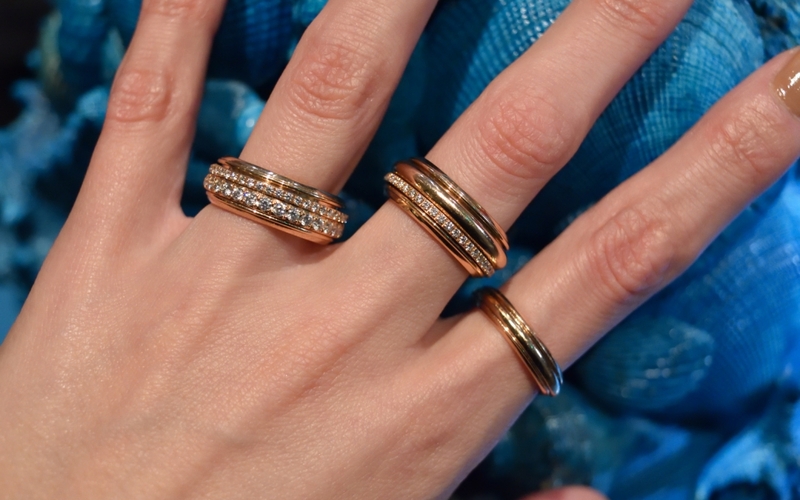 Turning rings, bangles and necklaces in rose gold and diamonds debuted with colourful ornamental stones. 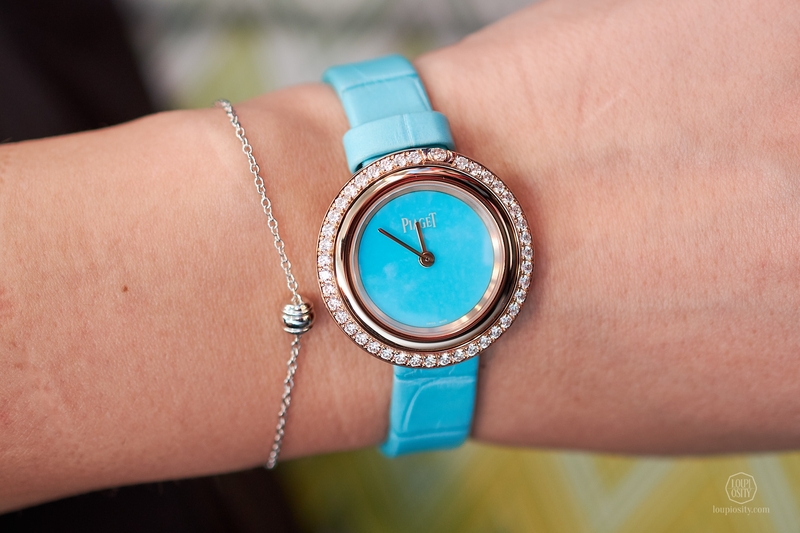 Just like the jewels, the new 29mm watches also feature colours: deep blue lapis lazuli, rich red carnelian, vivid turquoise or bright green malachite. Each stone dial is framed in a rotating gold or steel bezel and the stone is matched with an alligator strap in the same colour. 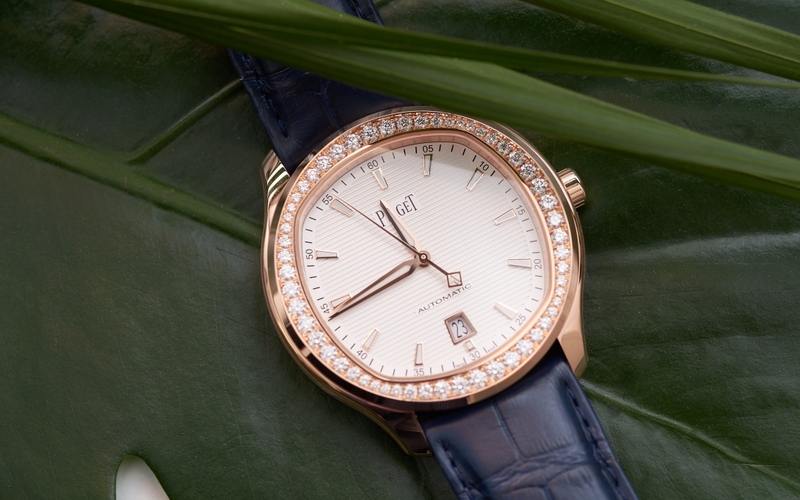 The even more glamorous version of the timepiece has a malachite dial and is set with 162 brilliant-cut diamonds. It is surrounded by a manchette of gold chain. 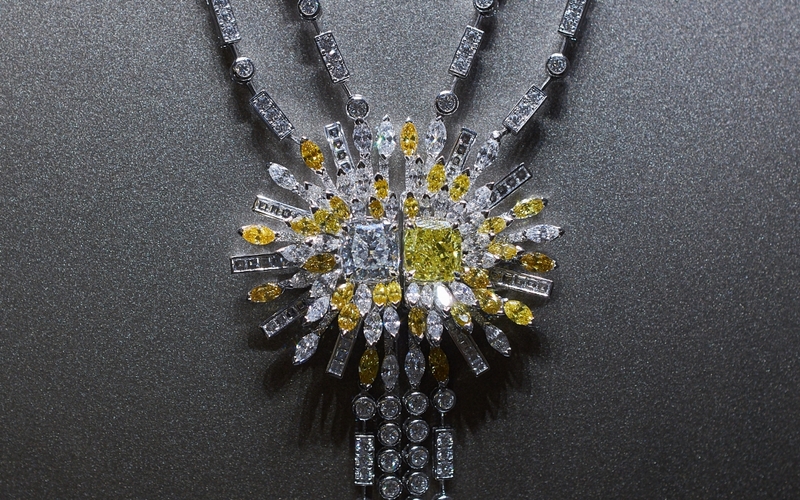 The loud and buzzing 60’s and 70’s had a great influence on Piaget’s creations. In 1967 they started making watches with dials in coloured hard stones; such as lapis-lazuli, jade, rubellite, onyx, tiger’s eye or hawk’s eye. The oval and the cuff watches of the Maison were worn by Jacqueline Kennedy Onassis for example, one of the most popular, stylish and most photographed First Ladies of the 20th century. 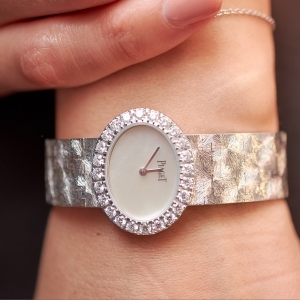 (On a side-note, Piaget provided her yellow Piaget watch with a jade dial and diamond bezel from their private museum collection for Natalie Portman to wear in the “Jackie” movie.) Elizabeth Taylor was known not only as an actress but perhaps even more as an enthusiastic jewellery collector. She also owned Piaget watches, like a gold and green hard stone cuff or a diamond and gold wristwatch (both auctioned by Christie’s in 2011). These models are extremely dainty and feminine, which can even be worn as jewellery. 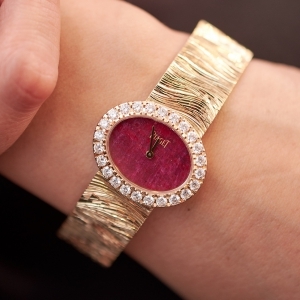 The horizontal oval dial and the precious metal bracelet are particularly characteristic. It fit Jackie Kennedy’s “jet-set style” and was popular in the broader “Piaget Society”. 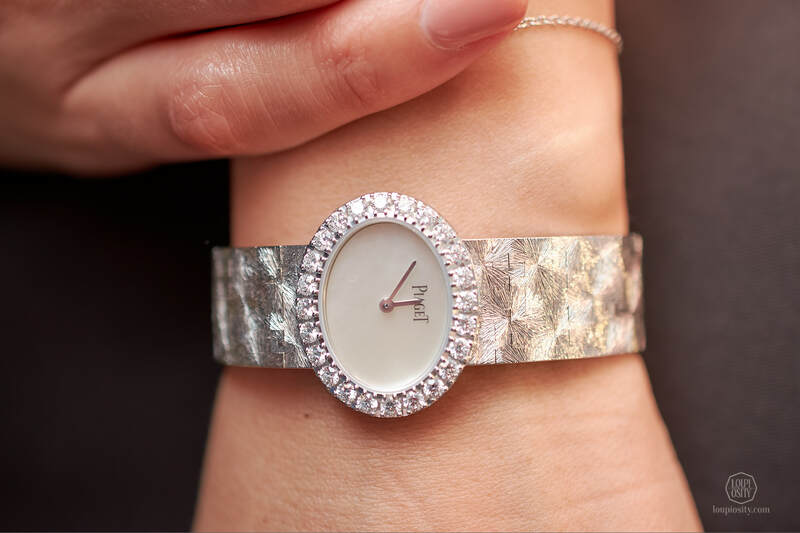 Piaget celebrates this elegance in 2018 with the contemporary versions of the Extremely Lady watch. These coloured hard stone pieces are reimagined for today’s glamour and will be available in the Piaget boutiques exclusively. Beyond mastering the thin hard stone crafts Piaget has a wealth of experience with goldsmith techniques too. The sumptuous texture decorations include the so-called “palace-decoration” for example, or on the new pieces the fur-like, frost-like or wood-like patterns. 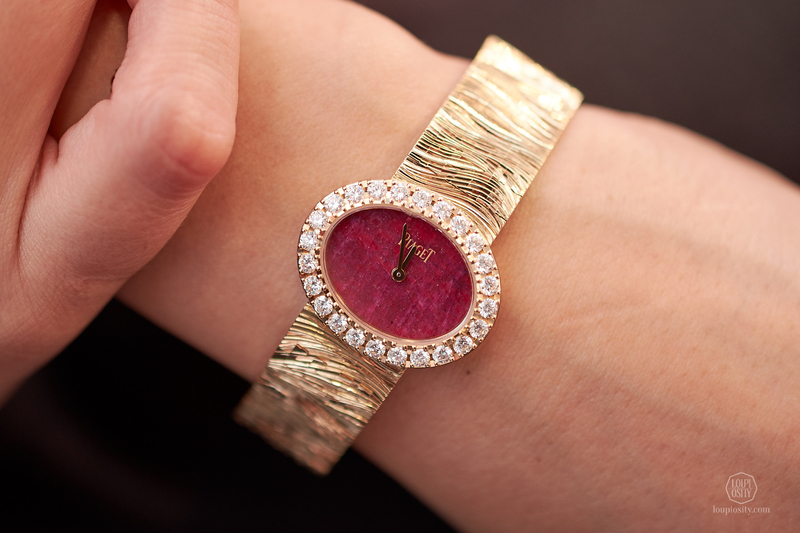 The watch with a heart of ruby oval dial and wood-like pink gold bracelet creates a warm effect, while the mother-of-pearl version is the opposite with a white gold icy frost-like decoration bracelet. 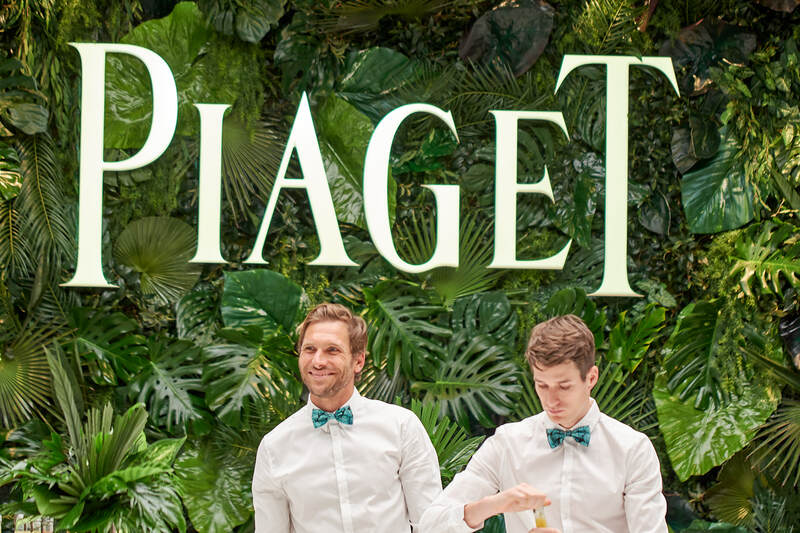 Piaget celebrated the 60th anniversary of Altiplano last year. To mark this occasion eye-catching artistic models were born. 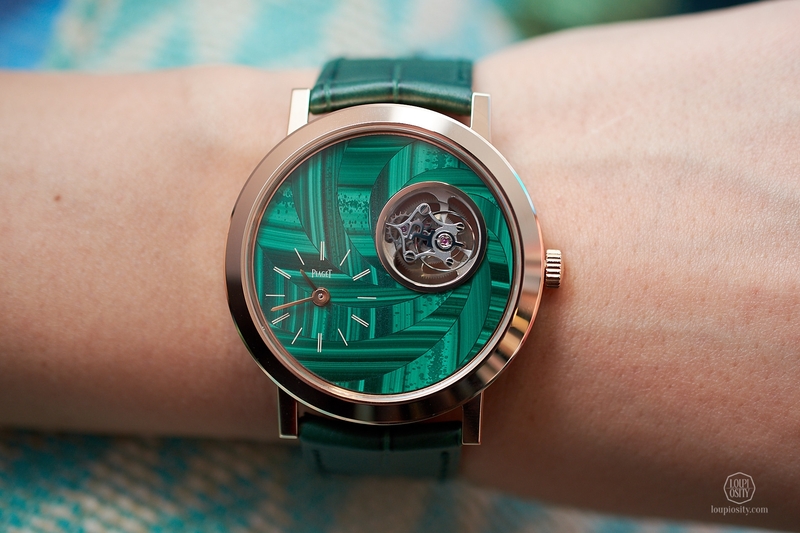 In 2018 the Altiplano welcomes a tourbillon version (the mechanical hand-wound tourbillon Calibre 670P inside) with a malachite or lapis lazuli dial, featuring the miniature stone marquetry technique. 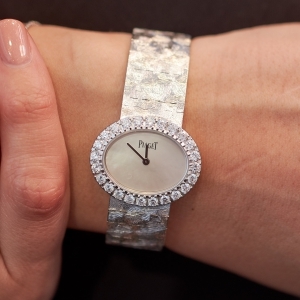 Piaget worked with wood- and lapidary sculptor Hervé Obligi on the dial. He creates various decorative objects, furniture, sculptures and does restorations too. The French Ministry of Culture named him Maître d’Art (Master of Arts) in 2015. Crafting these miniature stone marquetry dials spans to 2-3 weeks due to the extreme accuracy it requires.A rough stone block – in this case ribbon malachite and afghan lapis lazuli – is cut into thin slices of barely 1mm. They are then polished carefully, without losing too much on the intensity of the colour. As Hervé Obligi explains: “One of the hardest challenges is to make the colour of the stone truly vibrant by creating graphic effects on such a small surface.” The elements have to be contoured and cut into very-very thin strips, which are adjusted and assembled together, giving the pattern of the dial. The 8 Métiers d’Art pieces (in each version) are available exclusively in the boutiques. 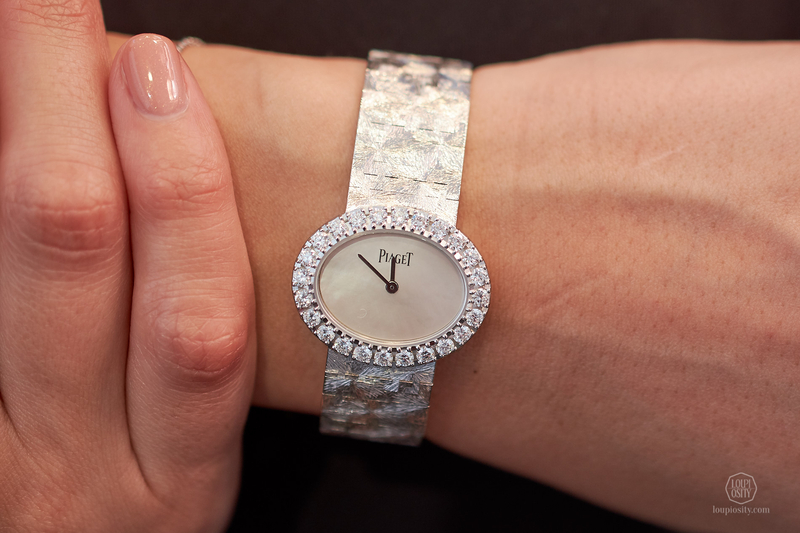 Piaget is probably best known for its ultra-thin watches. For this SIHH they designed a very special piece, the Altiplano Ultimate Concept and an automatic model, the Altiplano Ultimate Automatic. We’ll dedicate an article to these too.